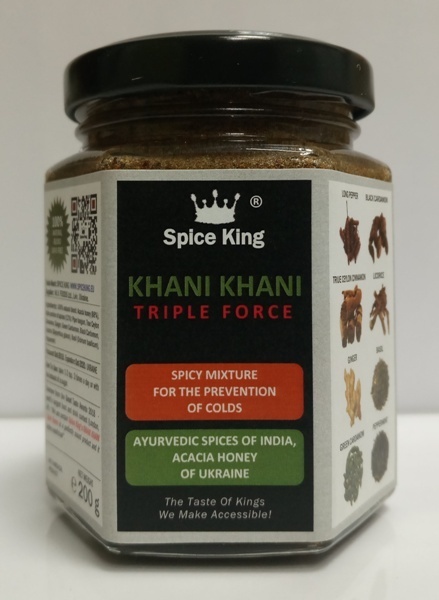 KHANI KHANI Triple Force, Spicy mixture for the prevention of colds on the basis of honey, made from carefully selected ayurvedic spices of India on the basis of natural Acacia honey from Ukraine. 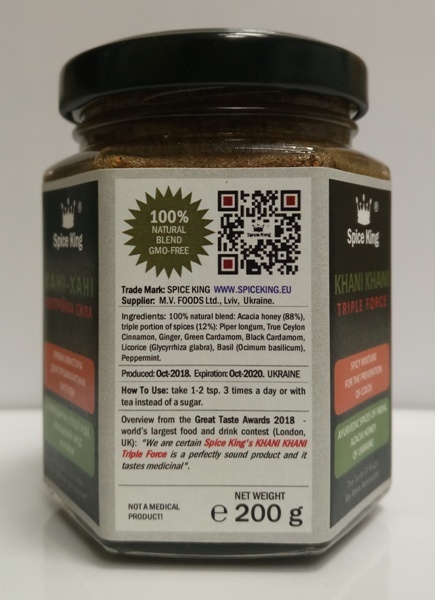 KHANI KHANI Triple Force Spice King has returned from this year Great Taste Awards 2018 (world's largest food and drink contest, as not a medical product! ), in London, UK, with the favorable overview as the "perfectly sound product with a medicinal taste"! 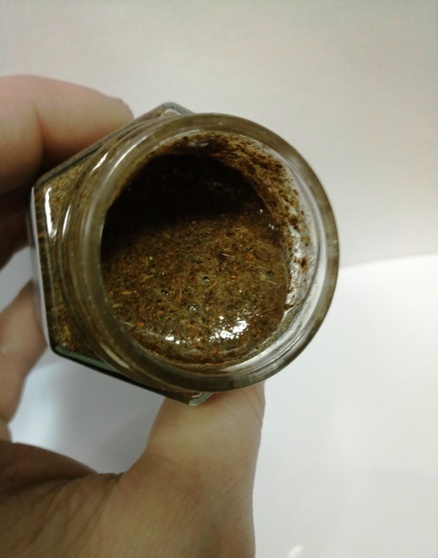 And now we have increased the volume of the mixture up to 200 grams net weight, so you will get more health in one jar and for the best price on the market! 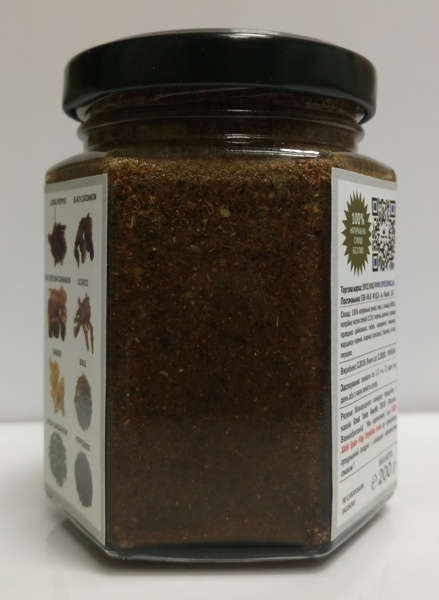 Ingredients: 100% natural blend: Acacia honey (88%), triple portion of spices (12%): Long pepper (Piper longum), True Ceylon Cinnamon (Cinnamomum zeylanicum, Cinnamomum verum), Ginger (Zingiber officinale), Green Cardamom (Elettaria cardamomum), Black Cardamom (Amomum subulatum), Licorice (Glycyrrhiza glabra), Basil (Ocimum basilicum), Peppermint (Mentha × piperita). It does not contains GMO, any chemical additives, water or sugar. How To Use: 1-2 tsp. 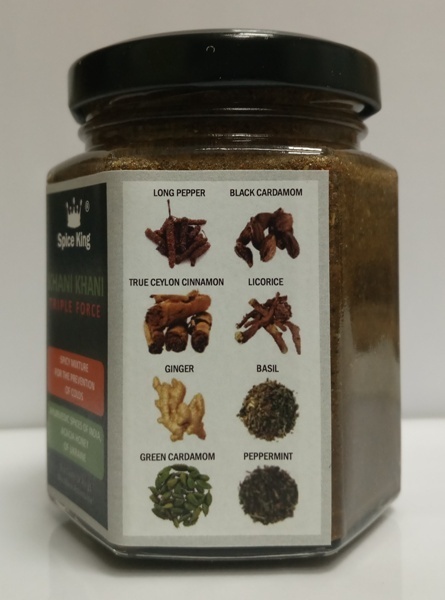 3 times a day or just add to coffee or tea instead of sugar while steaming.